Many people tend to indulge in the soundtrack of a movie or video. Take the Disney animated movie Frozen as an example, the theme song Let It Go gains a high popularity no less than the movie itself. What should you do if you want to extract MP3 music from video movie? Sometimes, to our luck, those soundtracks are available on the internet, while other times, it's hard to find the whole soundtrack. Unfortunately, the latter case is not uncommon. In this case, why not try to convert VOB to MP3 music format? As long as you have the film VOB file in the DVD you bought or otherwise stored, you can get rid of the tiresome internet seeking. If you get the chance to rip audio from video VOB, you would definitely want to extract MP3 music from VOB video, for the reason that MP3 is the most widely used and supported audio format. It can be played on all the meida players, MP3 players, and also the mobile device like iPod, iOS 9 iPhone 6S/Plus, iPad Pro/mini 4, Android, etc., with high audio quality close to CD. What matters now, however, is how to separate MP3 audio from VOB video. 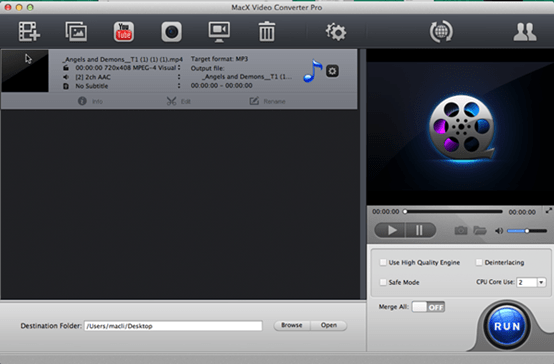 Fortunately, here is one excellent MP3 ripper: MacX Video Converter Pro. 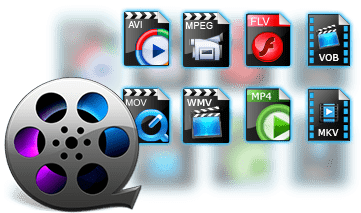 It can convert VOB to MP3, AAC, iPhone Ringtone, AC3, WMA, AIFF and other audio formats, and transcode VOB to MP4, MKV, MOV, AVI, WMV, HEVC, H264, iPhone, iPad, Android, game console, etc. with 420+ preset profiles. With this app in hand, you can hassle-free get MP3 audio out of VOB video with high quality (128kbps to 320kbps). 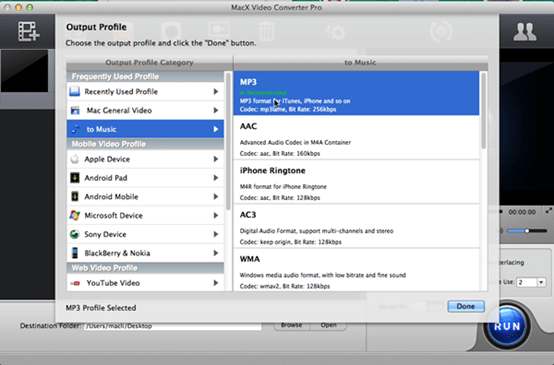 How to Rip Audio from VOB Video to MP3 Music on Mac? Before you start, make sure you have downloaded the VOB to MP3 converter and launch on your computer. For windows system, you can download the PC Windows version. Launch the program and import your VOB files by clicking "Add Video" button. Or drag files directly to the interface. After the VOB files are input, Click "to Music" and choose MP3. Click "Browse" button in output setting area and select a destination folder to save your output MP3 audio files. Click "RUN" button to start the VOB file to MP3 conversion on Mac. You can also adjust the MP3 parameter settings like Bit rate, audio codec, sample rate, compression codec, etc. to improve the output MP3 audio quality. It's the same to decode M4V to MP3, MP4 to MP3, MP4 to AAC etc.